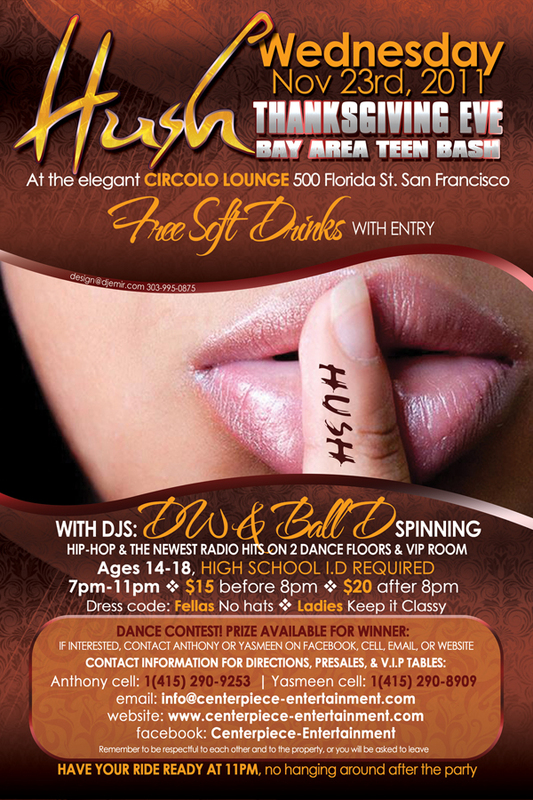 Friday December 9th 2011, Come join Will of westcoastwillentertainment.com as he hosts another hot party at Club Vanity. 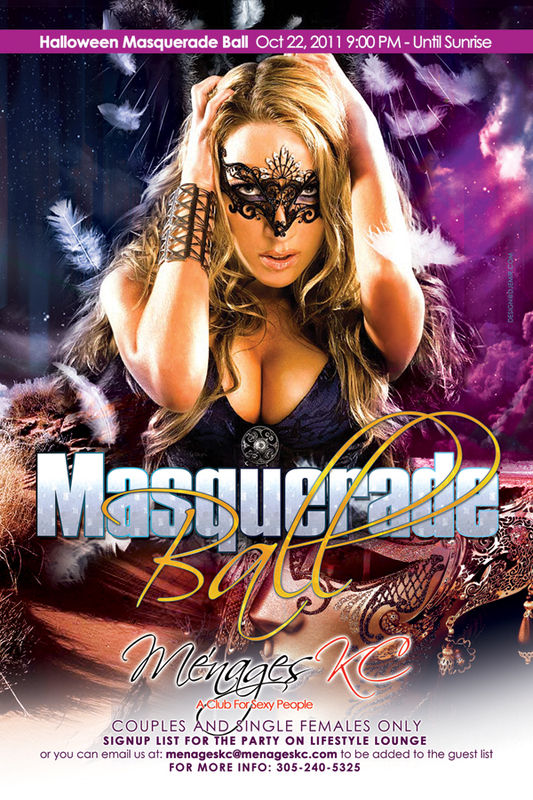 Bring your A-Game and dress up in your flyest or sexiest outfits as West Coast Will Entertainment presents the Friday Night Swag at Club Vanity. 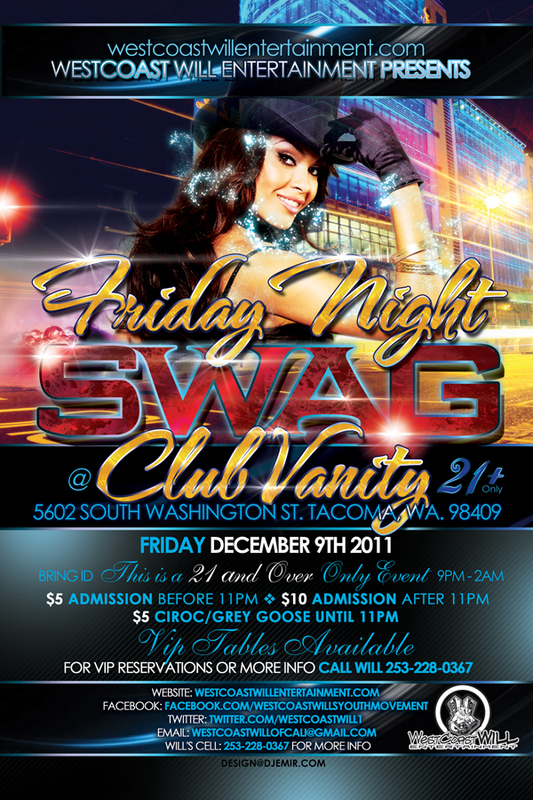 The Flyer Design for the Friday Night Swag Party at Club Vanity, Tacoma Washington was designed by www.djemir.com. 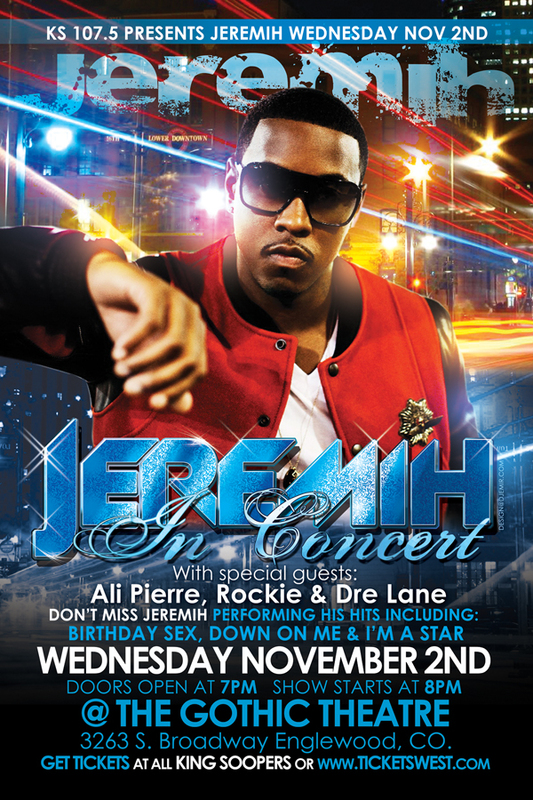 The nightclub promoter, West Coast Will Entertainment was extremely happy with the previous flyer design, The Black Friday Jump Off Party Flyer, and immediately ordered another design for his next party. I used the first set of fliers I designed for him as a template for these new fliers, so that both sets would have a slightly similar feel. 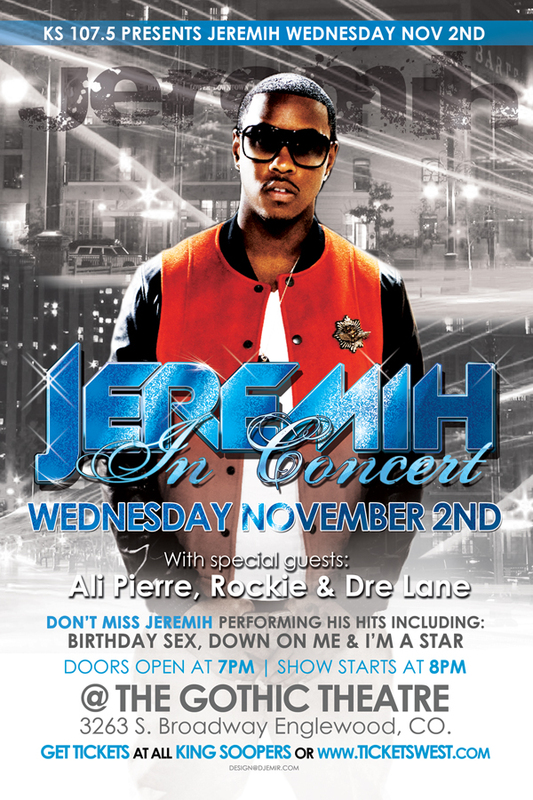 I wanted to try and outdo the first set of fliers I created for him, while still keeping a few key similarities as both of his parties were going to be held at Club Vanity in Tacoma Washington. 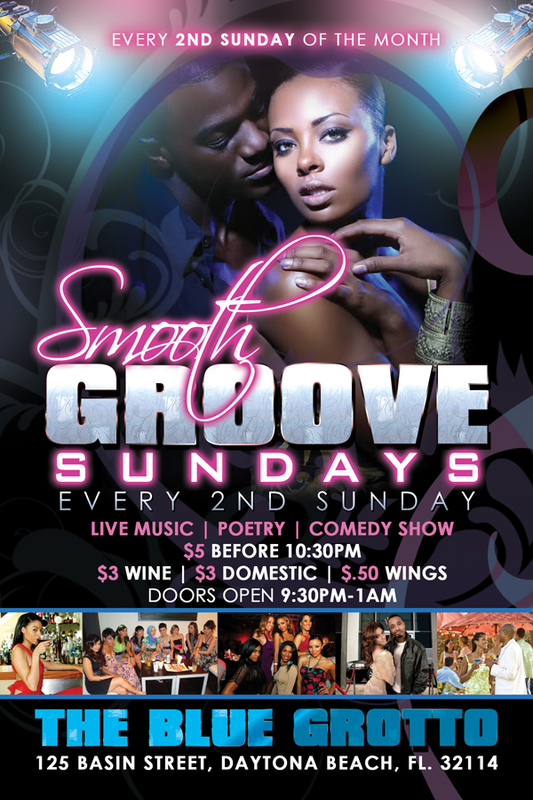 This flyer design has become one of my favorite designs to date so I have used it as a flyer design template for a few other fliers as well. 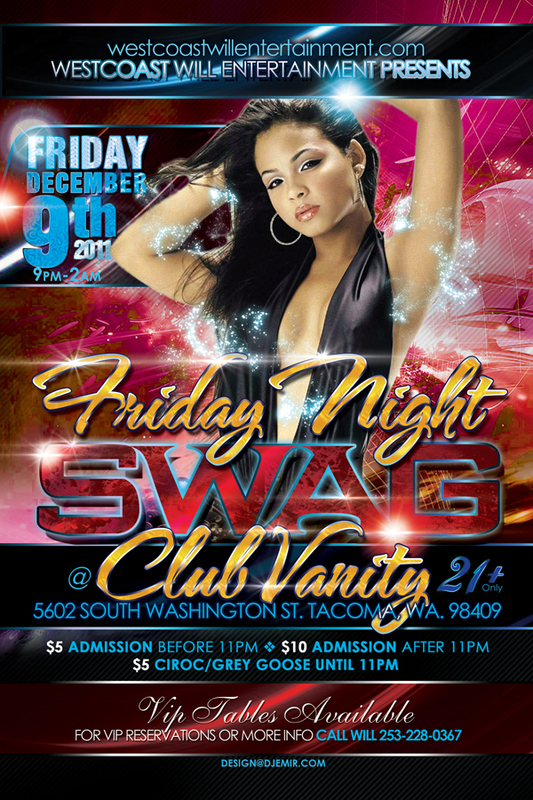 Even though the Friday Night Swag flyer design (shown above) was used as the template for other flyer designs, apart from a few small design elements, the designs look nothing alike. 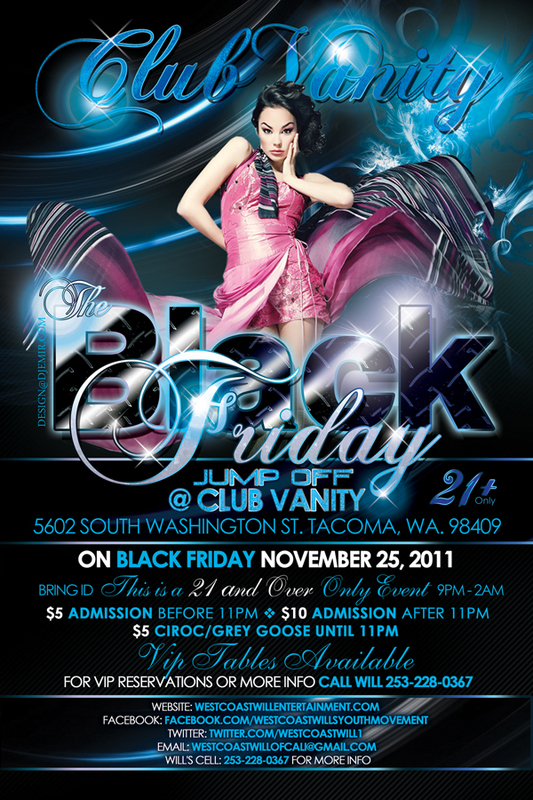 The Black Friday Jump Off flyer design was designed by www.DJEMIR.com It is a rather elegant yet flashy flyer design created for West Coast Will Entertainment’s Black Friday Party at Club Vanity Tacoma Washington. 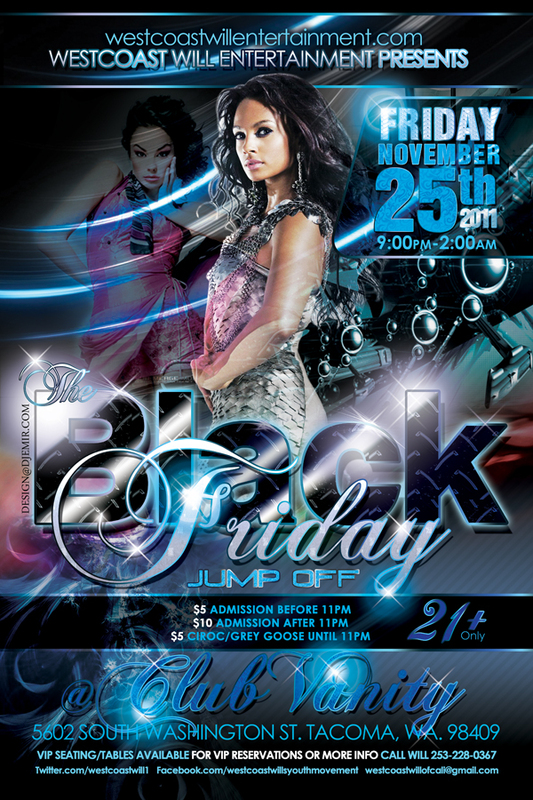 The overall flyer color is mainly black as it is Black Friday. 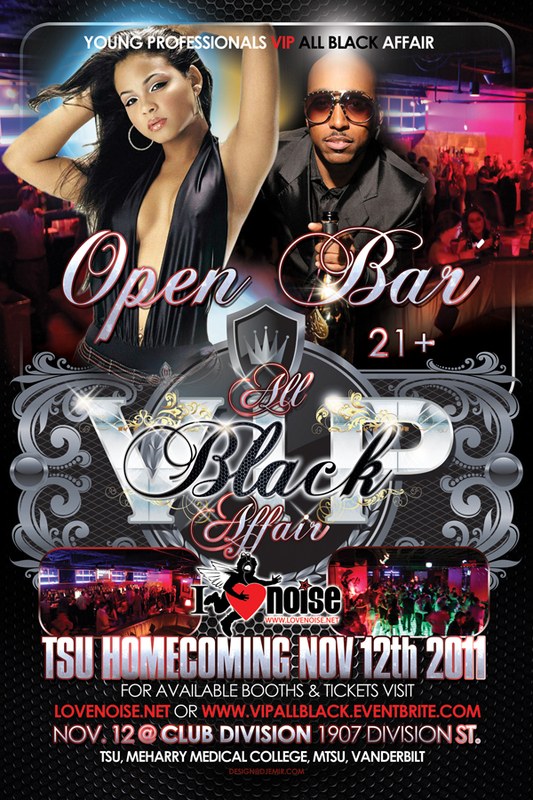 Black is actually comprised of all the primary colors mixed together and in essence all colors, So to add visual appeal splashes of color have been added throughout the flyer. 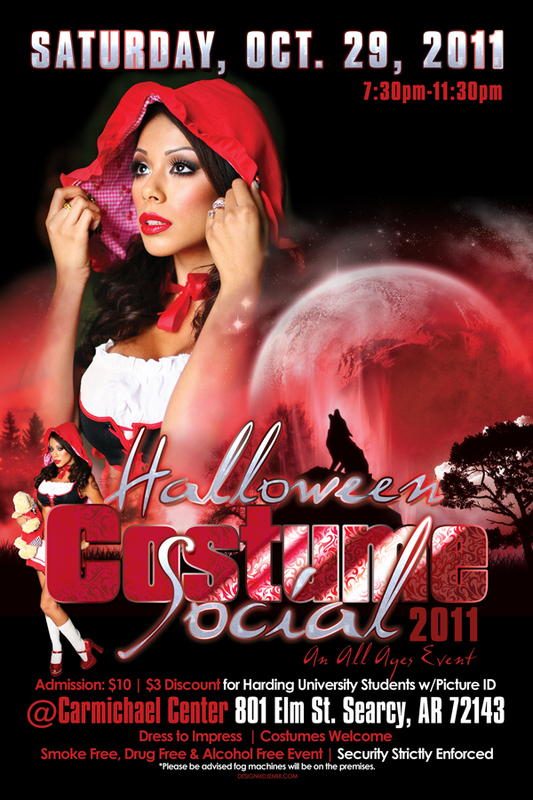 In addition, the girl’s pink dress really stands out on such a dark background giving the flyer a really dynamic feel. 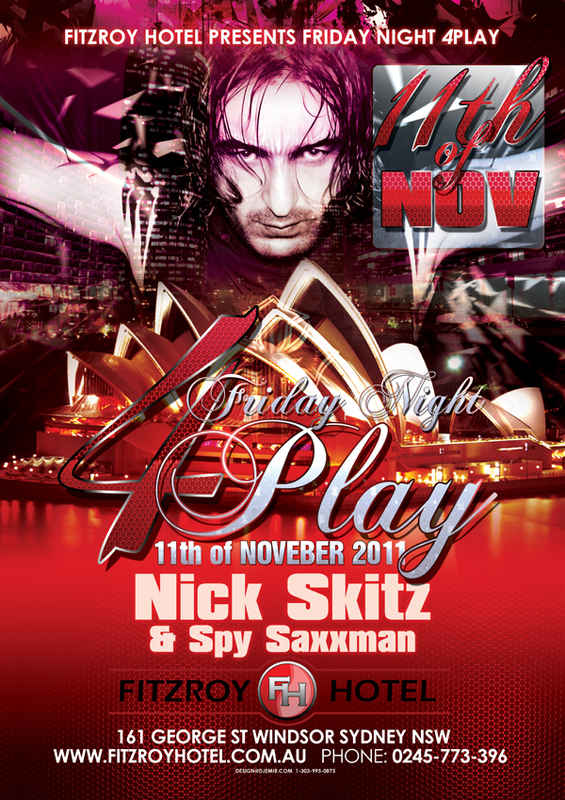 This flyer design was also used as a flyer template for the Friday Night Swag Party at Club Vanity, The follow up party to the Black Friday Jump Off. 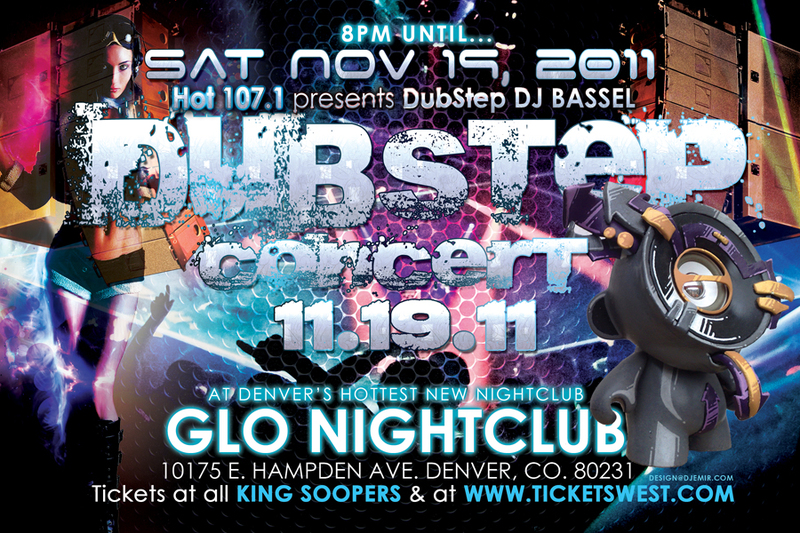 Saturday Nov. 19th Dubstep Party with DJ Bassel at Glo Nightclub 10175 E. Hampden Ave. Denver Colorado. 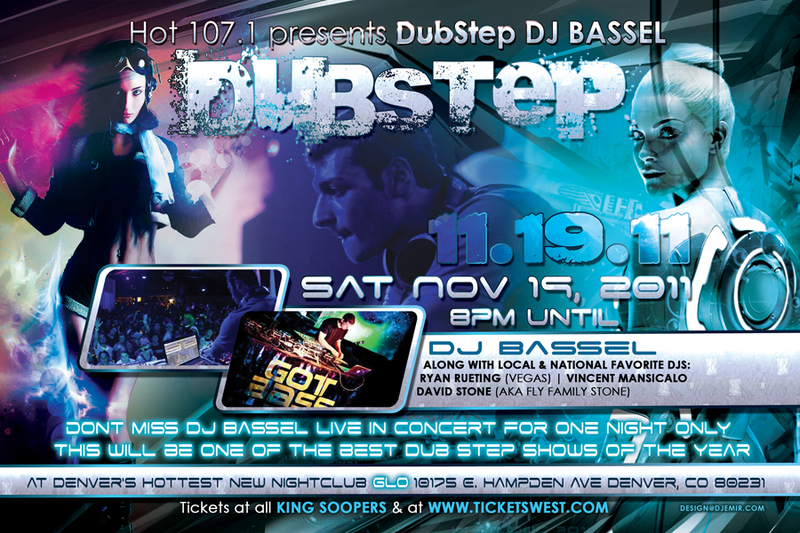 Hot 107.1 presents DJ Bassel along with Ryan Rueting, Vincent Mansical and David Stone in one of Colorado’s Best Dubstep shows of the year. Bassel will be bringing his hard hitting sound to Glo nightclub for one night only. 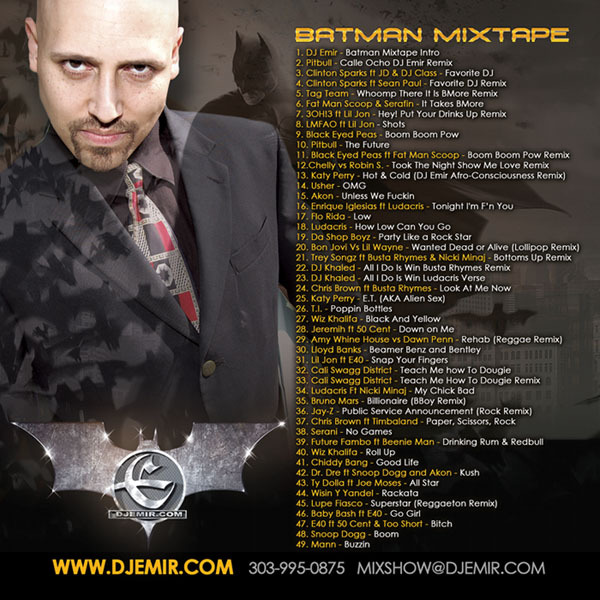 Wednesday November 16th 2011 Special Event at Wicked Garden Featuring DJ Emir Santana. 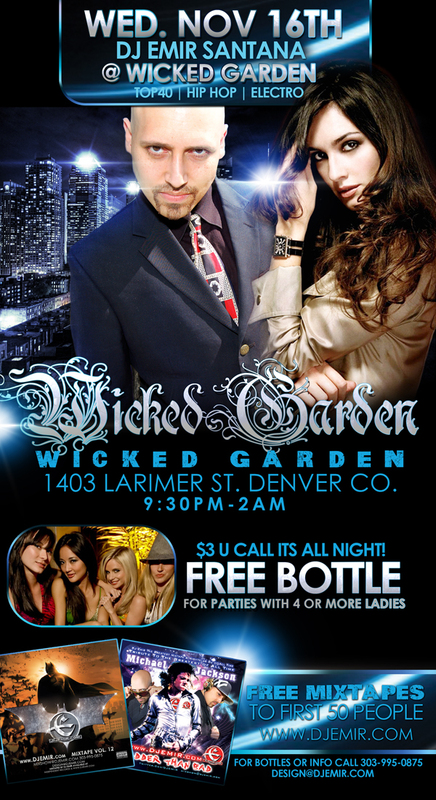 Don’t miss this special intimate engagement inside Wicked Garden 1403 Larimer St. Denver Colorado. 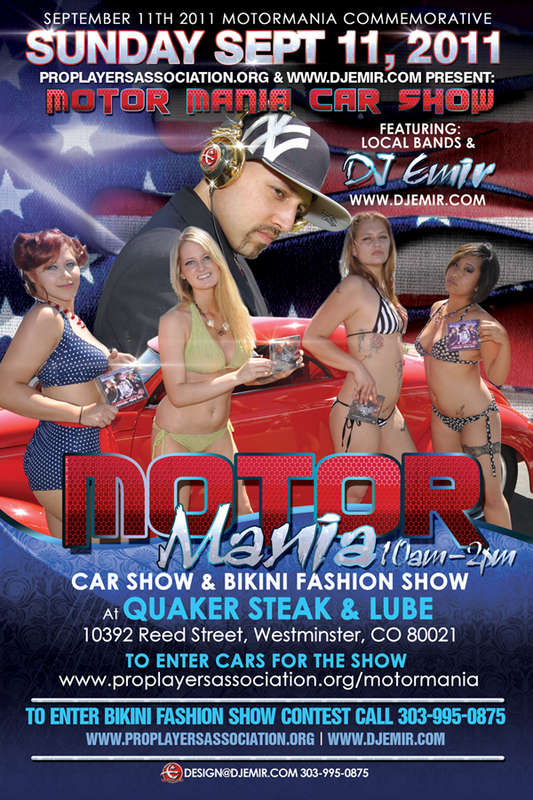 Located at the Corner of 14th & Larimer, just a few doors down from Suite 200 ultra lounge on Larimer Square. 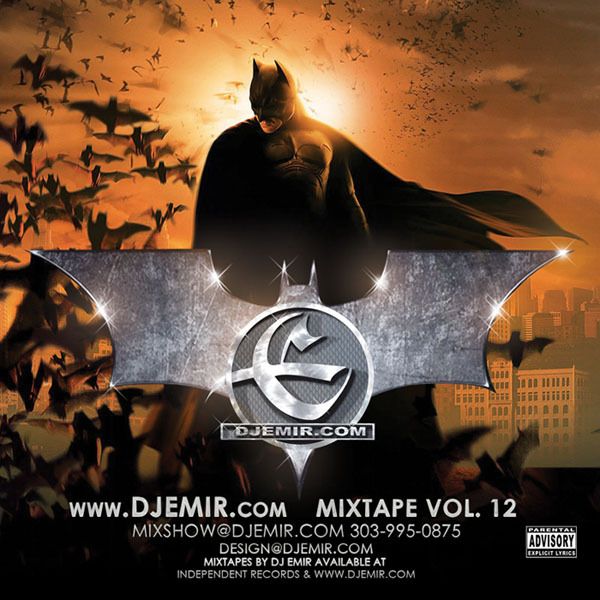 FREE MIXTAPES for the first 50 people! 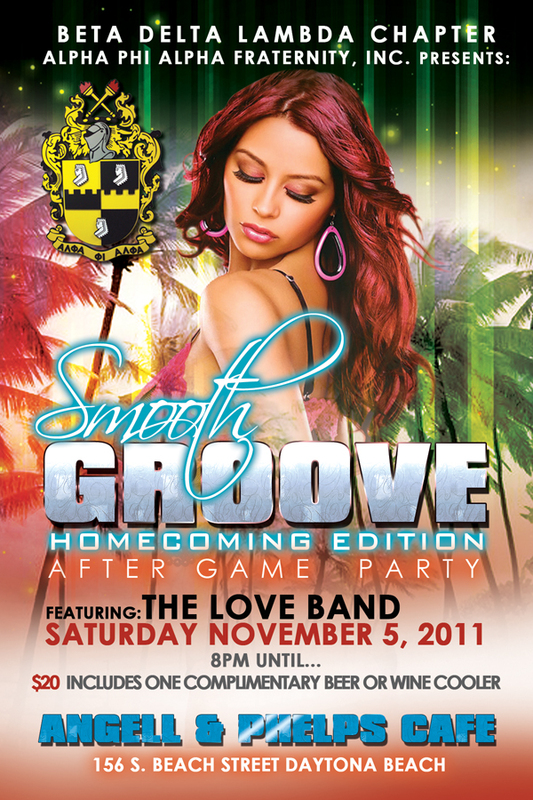 This design was created using the FRIDAY NIGHT SWAG flyer design as a flyer template.